Restored bent glass light fixtures for Saenger Theater. Pleasant View Glass Works of Fenton Michigan restored and reproduced a number of leaded bent glass light fixtures for the Saenger Theater in Pensacola, Florida, an historic Spanish Baroque style building. This work was done as part of a $15 million dollar overall restoration. Bending glass to match the existing is a technical achievement requiring a steel mold exactly matching the contours of the existing work. The glass is first cut to shape and then “slumped” over the mold in a kiln, at temperature. 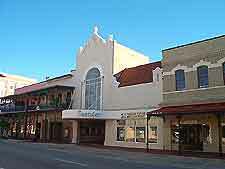 Street view of the Spanish Baroque style Saenger Theater. 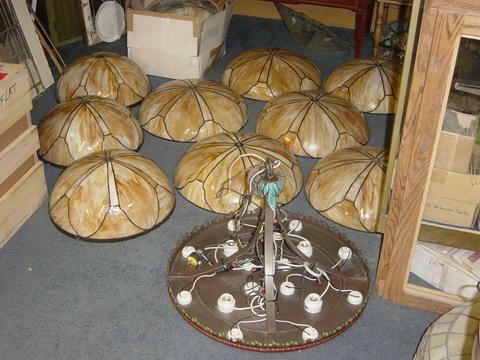 This entry was posted in Lighting Restoration and tagged Florida. Bookmark the permalink.